.​Thanks to our partner, Castle Farms, for sharing this fun article from The Knot based on this blog from Etsy. Cedar Point, when we were 18 & 19. Two years before we were married. Just yesterday. Superbowl Sunday, my 84-year-old father-in-law, Chuck, could not have cared less about the game, the ads, or the halftime show. All he wanted to do was get to Grandvue to be with the love of his life. On the way there, he looked off across Lake Charlevoix where they've spent thousands of hours together since they were teens and he said, "I don't get it. Women feel such pressure to look young, to cover up their age. I look at Kay, every wrinkle; every single one, is so beautiful. I look at her and she's so beautiful. Her wrinkles are part of her. It's how she's supposed to look at this age. She's never been more beautiful." I couldn't speak for a long time. Today, Kathy pointed out a wrinkle on her own beautiful face and I remembered that I hadn't told her that story yet. Dad would be the first to acknowledge that enlightened might not be the first adjective others would use to describe him, but on this, Dad, you are such light in the darkness. Here's a photo from our last big trip together. 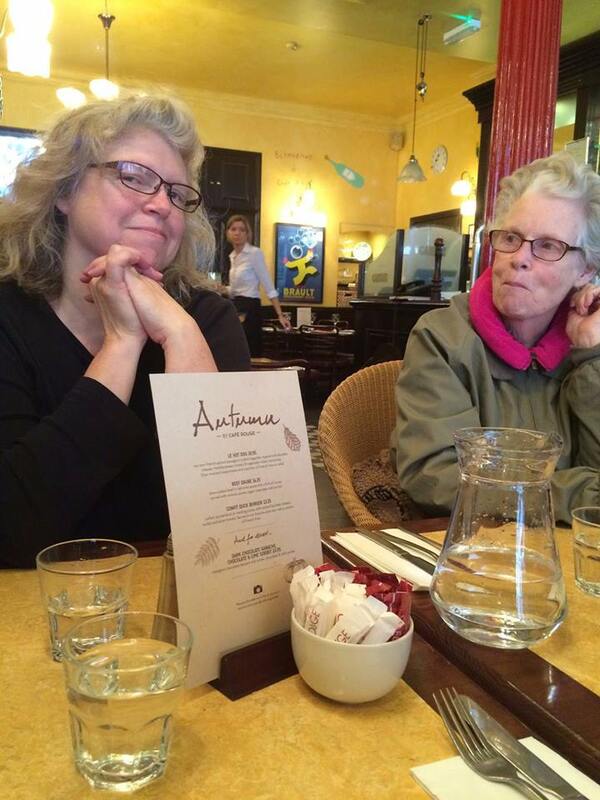 Much to Dad's chagrin and Mom's delight, we were at a French restaurant in Edinburgh. That look on the faces of both of these strong woman. Trouble. Of the best kind. And so much "this is who I am" beauty. Thanks, Dad! Every wrinkle; every single one. 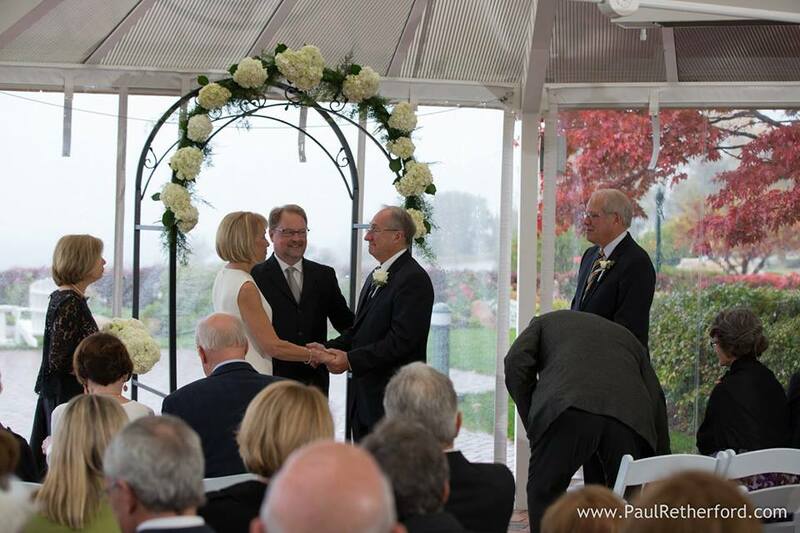 Charlevoix Wedding Pastor with Kathryn Ann Mays at Petit Paris Restaurant. Wedding Forward put together a great list of wedding customs that most of us have expererienced, but aren't sure we want to include in our own wedding. Here's our rule of thumb: If you love it, keep it. If you don't, feel completely free to leave it. 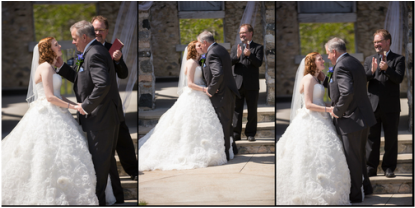 Check out Wedding Forward's "10 Wedding Rules & Traditions That Are Becoming Optional". Unless your friends are professionals and you have seen their portfolios, your wedding may not be the best time to give them that big shot or cut corners. You do not want the end of a friendship to overshadow the beginning of your marriage. One of your friends may offer to officiate the ceremony. This may SOUND like an awesome idea, but many couples regret making this decision. Not all states even ALLOW this so check if this is something you really want. Also, hiring your college-roommate as the DJ may actually turn out to be a disaster. Save yourself the drama and hire professionals. Let your friends and family attend as guests and enjoy the day. ​So go ahead, toss the tradition and REALLY take control of your wedding. Forget the myths, superstitions and conventional wedding rules and have the wedding of your dreams. Don’t worry about offending anyone. It’s YOUR wedding, YOUR reception, YOUR day and YOUR marriage! Make it everything you’d hoped it would be..and more! We'd love to know what you think of these 10. Are any of these are important to you? What other wedding customs do you consider optional? Are there any wedding customs you consider essential or even mandatory?